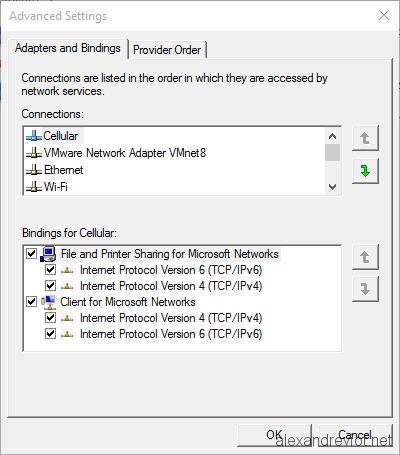 In fact, Network Bindings is no longer used by any Windows components but DNS Ordering still use it before Windows 10. 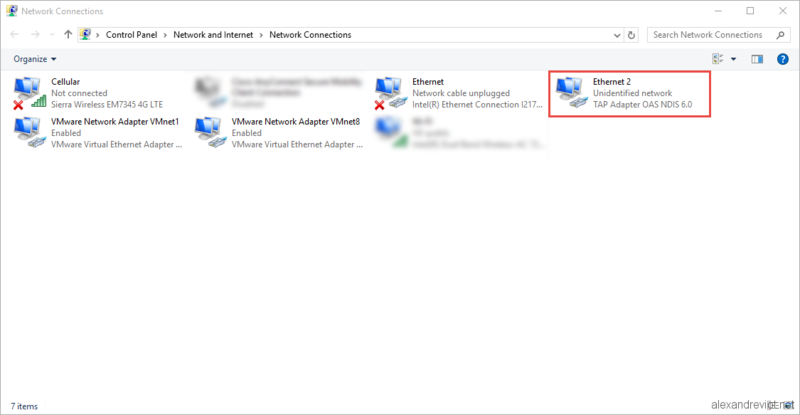 Yes, that is my problem: When VMware and OpenVPN are used in the same time, Windows 10 uses Route Metric + Interface Metric to determine that VMware interface is a better route, and take its DNS. 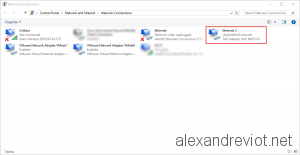 To solve this issue, we can increase the Interface Metric of VMware Network interfaces. 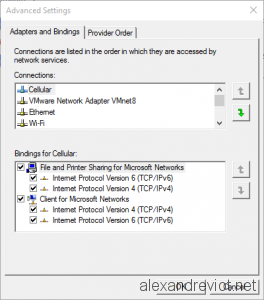 With a bigger metric, Windows will always set these networks and its DNS, last. Now, OpenVPN takes precedence over VMware interfaces. 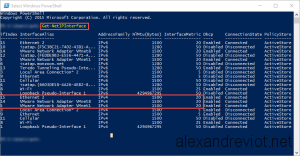 You can get more information about Powershell cmdlet here. 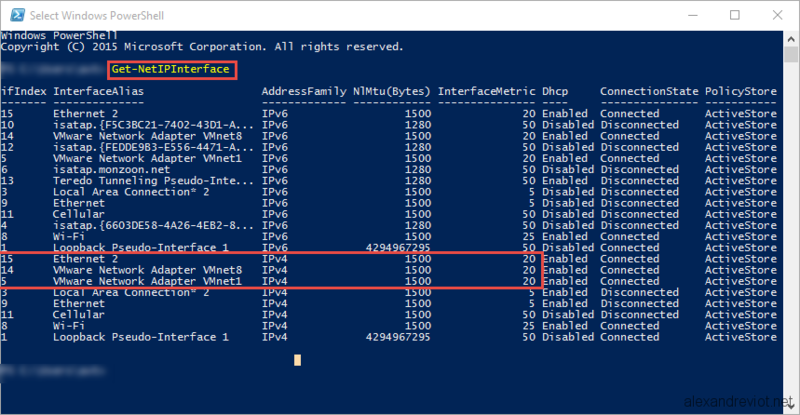 This entry was posted in Powershell, Windows 10 and tagged 10, binding, metrics, Network, openvpn, order, powershell, TAP adapter, tunnel, vmware, windows, workstation. Bookmark the permalink.